Announcing the scheme, the Congress president claimed that there is no such scheme anywhere else in the world. 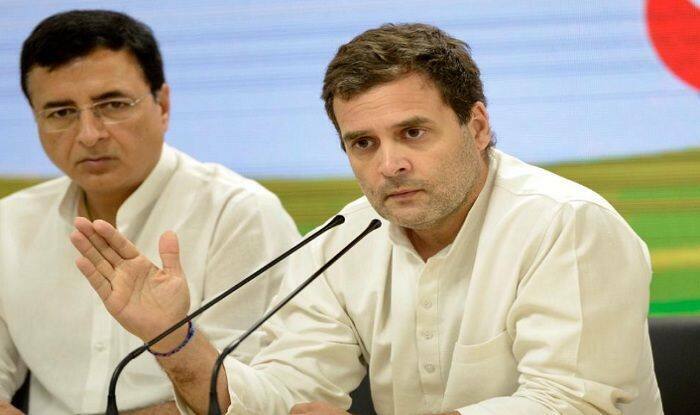 New Delhi: Weeks ahead of Lok Sabha Elections 2019, Congress president Rahul Gandhi on Monday promised to give Rs 72,000 every year to 20 per cent of the poorest families if his party voted to power in the forthcoming polls. “We will do justice by the poor people of the country through the Minimum Income Guarantee scheme. Congress party guarantees that 20% of the families below poverty line will get Rs 72000 annually,” Rahul Gandhi said in a press conference after the party’s working committee meeting today. Rahul further claimed that five crore families and 25 crore people will directly benefit from the scheme. “There is no such scheme anywhere else in the world. It is an extremely powerful, extremely dynamic, extremely well-thought idea,” he asserted. Reacting sharply to the grand old party’s announcement, BJP general secretary said,”If you are sure about your defeat, you can promise moon. Who takes it seriously? Already under different schemes poor families get much more support. Is it in addition to those schemes or they all will be subsumed in it? Notably, the announcement by Rahul Gandhi comes after Congress’s Central Working Committee (CWC) meeting at party headquarters at Akbar Road. The CWC – the highest decision-making body of the party met for the second time in less than two weeks. Earlier, in the interim budget this year, Narendra Modi-led Centre had announced PM-Kisan Scheme and promised to provide Rs 6,000 per year in three instalments to small and marginal farmers across the country having cultivable land up to two hectares. Opposition parties had attacked the Modi government over the scheme, terming it an insult to the farmers. The Lok Sabha Elections 2019 will be held in seven phases, the Election Commission announced on March 10. The counting of votes will take place on May 23, 2019.